Why wait until the ball drops on New Year’s Eve to make resolutions, when with the change of seasons September is a perfect opportunity to make a #FreshStart? As summer comes to an end and the vibe gets a tad more serious, it’s a great time to muster up a little extra motivation as we all settle back into our busy daily routines. If you’re looking for inspiration, here are some Fall Resolutions to consider to help you make a #FreshStart this Fall. Focus on a series of small wins by making gradual changes that can add up to an overall improvement in how you feel. Opt for the stairs instead of the escalator on the daily commute, make an effort to eat a well-balanced breakfast, or allocate some extra hours of sleep to help recharge batteries. By starting with small changes and sticking to them, you can gradually push yourself to achieve even more ambitious goals down the road. There is a technological solution to almost anything nowadays, with so much information just a click away and accessible through your home Internet connection. Whether looking for help to keep a calendar up to date, or create to-do lists, there are a plethora of organizational apps available that are equipped with reminders and alarms. If it’s a physical declutter you’re after, you can eliminate that ever-growing pile of confusing remotes by switching over to a wireless central system that can control and manage all your household devices. Check out our previous blog for more smart home technology that can help you stay organized, here. Eliminating unnecessary costs is a great way to get the freedom to re-allocate money where it is needed most. One of the easiest ways to improve your budget situation is to cut out those small costs that always seem to add up. For example, think about how often you buy your lunch instead of bringing it from home. Maybe public transit or car pooling is an option. But, if you feel you’ve already cut out small costs and are still looking for more ways to save, you should evaluate some of your basic home services like TV, Internet and Home Phone. Affordable TV and Internet Bundles provide a great way to save month over month without having to give up the services you rely on. You should also consider taking stock of how much Internet you use per month to ensure you’re getting the most value for your dollar. Check out our Find Your Plan tool to help assess your needs and review the best available options based on your personalized results. Fall is a glorious time to make a change. 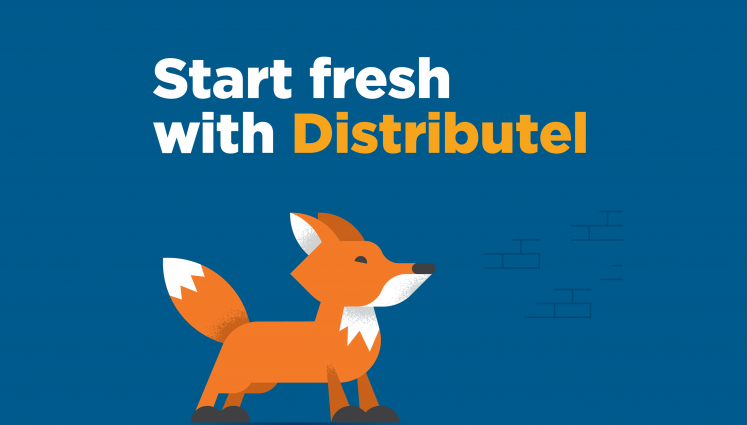 Do yourself a favour, give yourself a leg up on your New Year’s goals by making the simple switch to Distributel today. With almost 30 years of experience providing telecommunications services to Canadians, Distributel offers a unique consultative approach to the services we offer. With an unwavering commitment to fairness, simplicity and innovation, Distributel offers the best overall value in the industry. Visit us at www.distributel.ca or call us today at 1-877-810-2877 to speak to someone from our Customer Experience Team.